Stragraddy is a townland in Kilmacrenan parish. The Irish form is An Srath Greadaithe [logainm.ie], ‘the thrashed river-valley’. 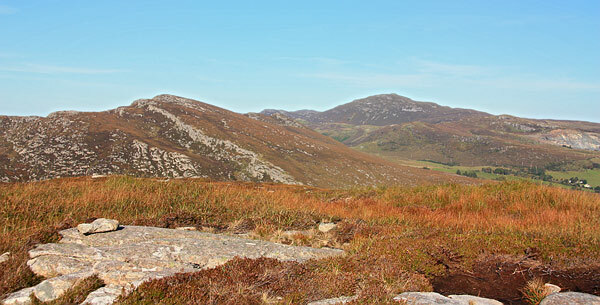 Sliabh an tSratha Greadaithe is the 1186th highest place in Ireland. 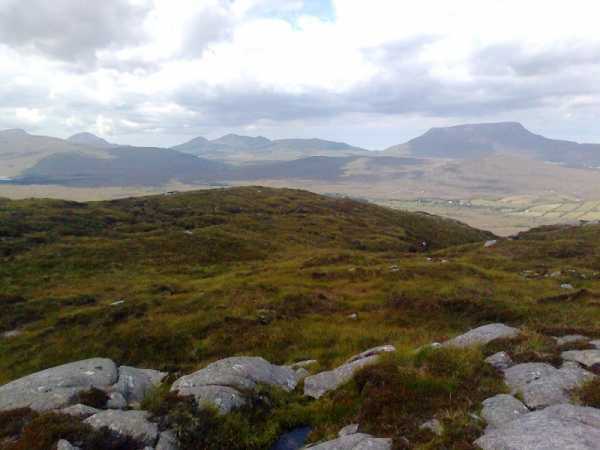 Picture from Harry Goodman : View NW to Muckish from Stragraddy Mountain Top. Picture: View NW to Muckish from Stragraddy Mountain Top. Picture from simon3 : Stragraddy looking north east. Picture: Stragraddy looking north east. 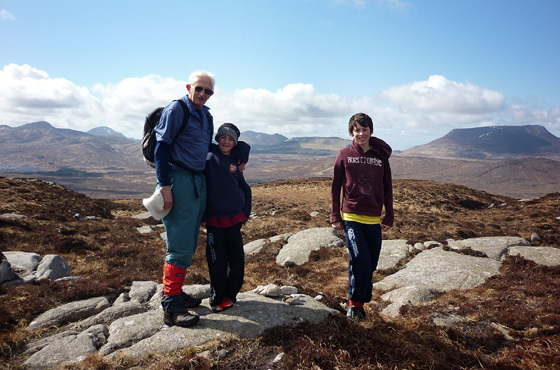 Stragraddy is really only for those interested in summitteering not having a lot to recommend it beyond an interesting viewpoint of Muckish. It's a boggy rushy pull up without any paths that I could find. There must have been a track once because there are bog cuttings East of the top. Start from the tee junction on the N56 at C0918 2443 G where there is some parking. Walk up the small road leading away from the N56 for around 150 to 200m and then make for the top. Although fenced as of 2009 the land is rough and unused except for a few sheep.